Lip Sync Battle: YOU vs. the Rabbi! 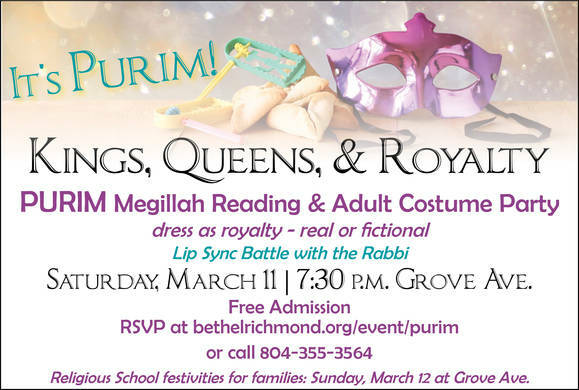 Click here for details on the Sunday morning Family-friendly Purim festivities. One Community One Campus Survey is online. Click here!